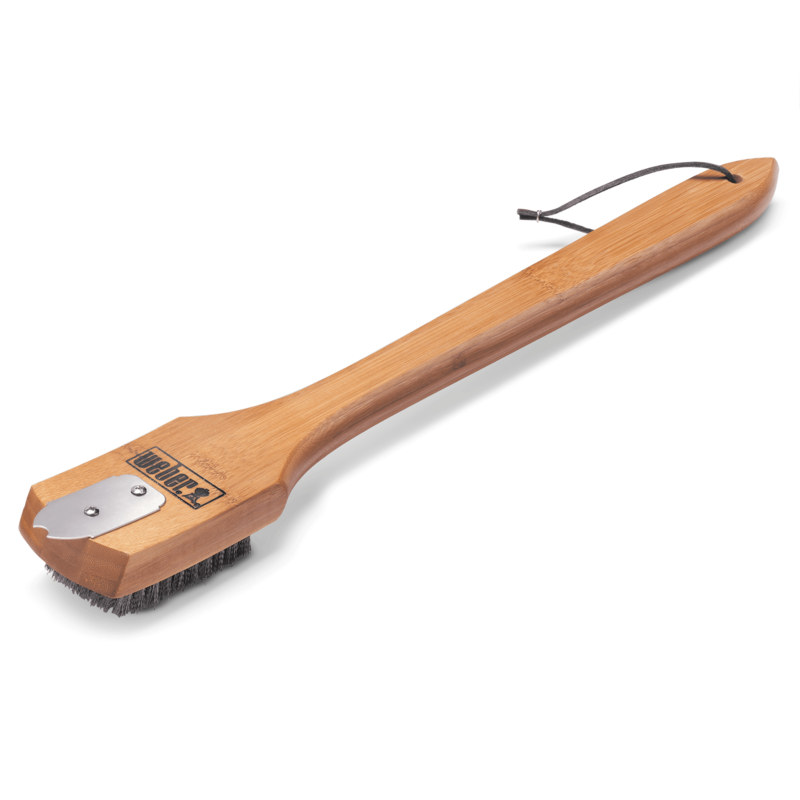 Grill Brush is rated 3.5 out of 5 by 12. 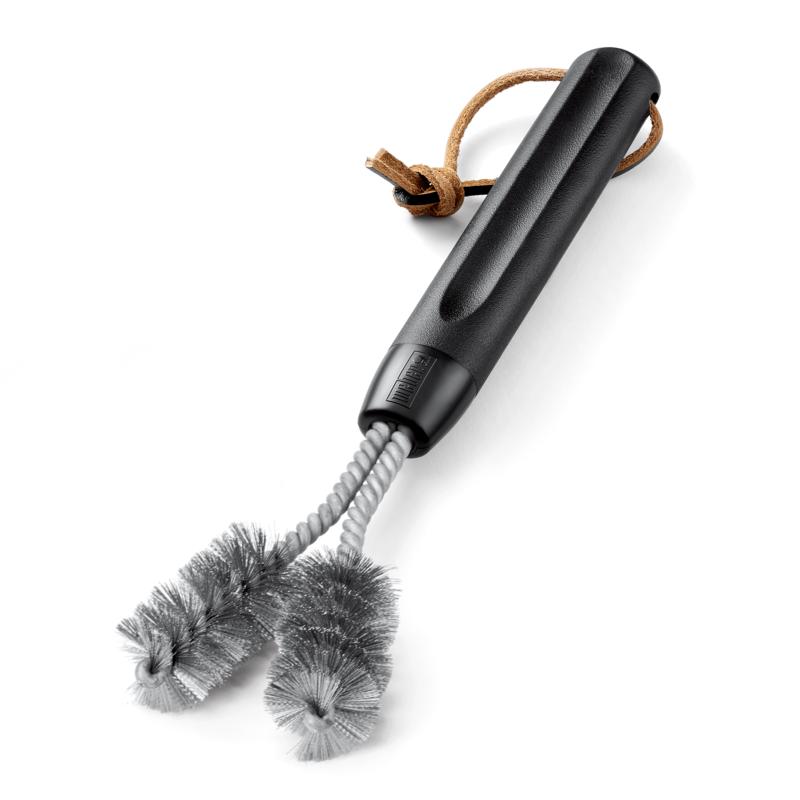 Rated 1 out of 5 by Greg K from Terrible Brush I was pretty sure that this brush was made better before but the last 2 I have bought aren't very reliable. The first one I started having trouble with I used for maybe 6 months and noticed it bending with a little pressure applied. After a few weeks of bending, it completely broke out of the plastic handle. Thinking it was a fluke, I purchased another one and while the handle hasn't busted yet, it does still bend with a little pressure. I think it has to do with the longer length so will give the shorter brush a try and if that doesn't work, I'm done buying Weber brushes. 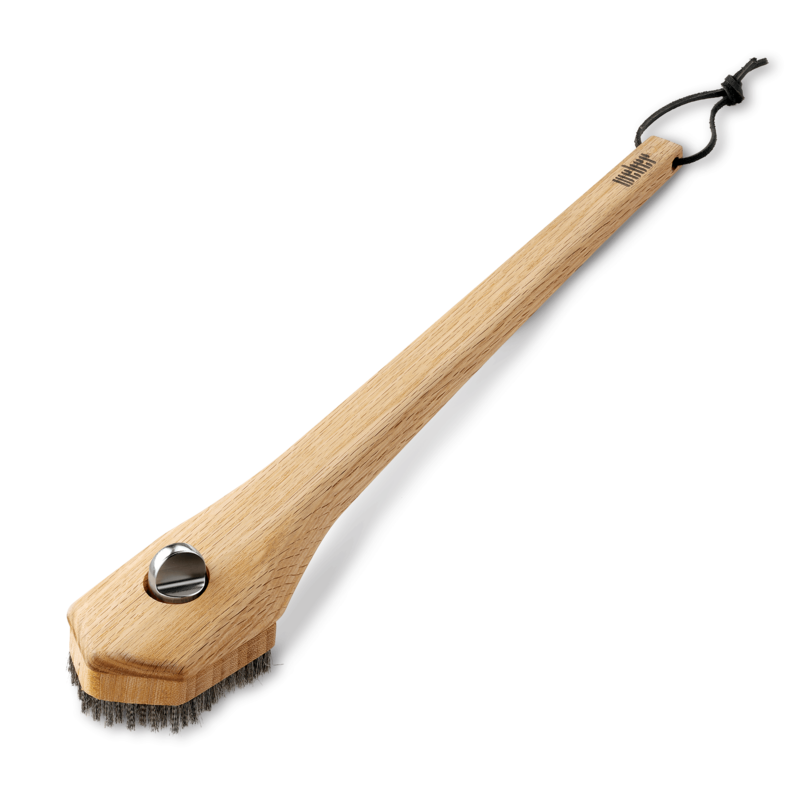 The straight wood premium brush looks good but it's not as versatile as this brush. Rated 2 out of 5 by Kingo from Old style better quality I bought this brush years ago and consider it the most effect cleaning brush I've owned. Turn it vertical and it cleans not only the sides of the grates but also the supports attached to the back of the grates!! Recently I purchased another one for someone else and this is when I became disappointed. 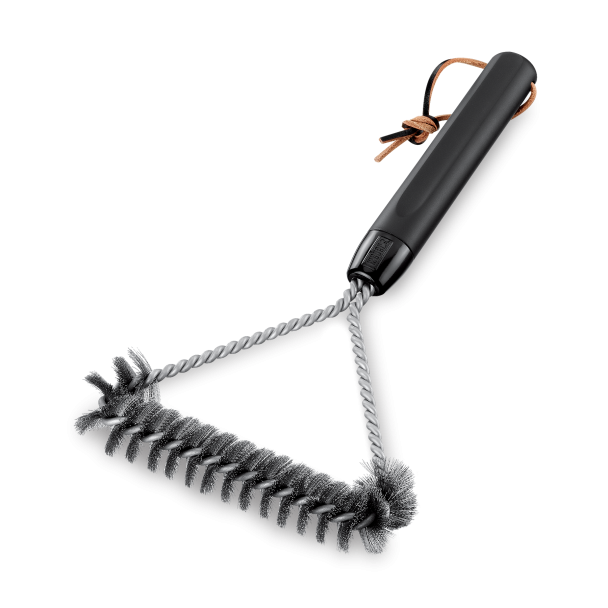 What appeared to be the same brush was as the other reviewer indicated a lesser grade of steel which when you put pressure on it, it bends and is rendered ineffective. 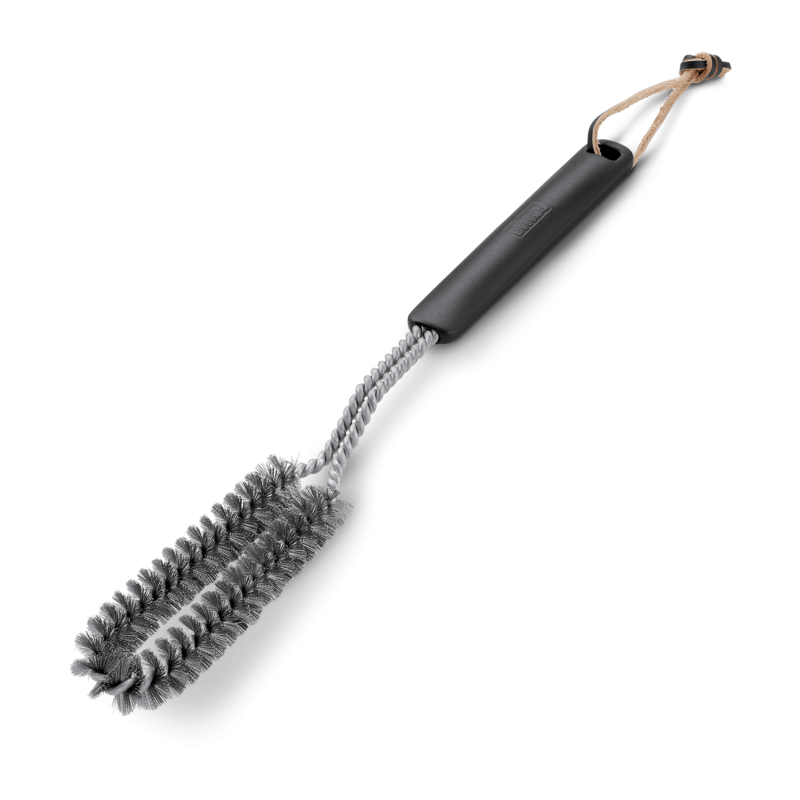 I like to clean my grates when the grill is hot so I do need the longer handle, but it needs to be heavier duty like it was previously. Also the brush I bought which was not as durable also started shedding the metal bristles where as the one I have had for years has not at all. Rated 3 out of 5 by port1a from Decent Brush But Not Heavy Duty I've used this brush for many years and it appears the older style were a bit more heavy duty. When the brush is new, it's bristles clean the stainless steel grates of my Genesis II really well, but they soon flatten and lose the aggressive bite necessary to remove stubborn burnt on debris. 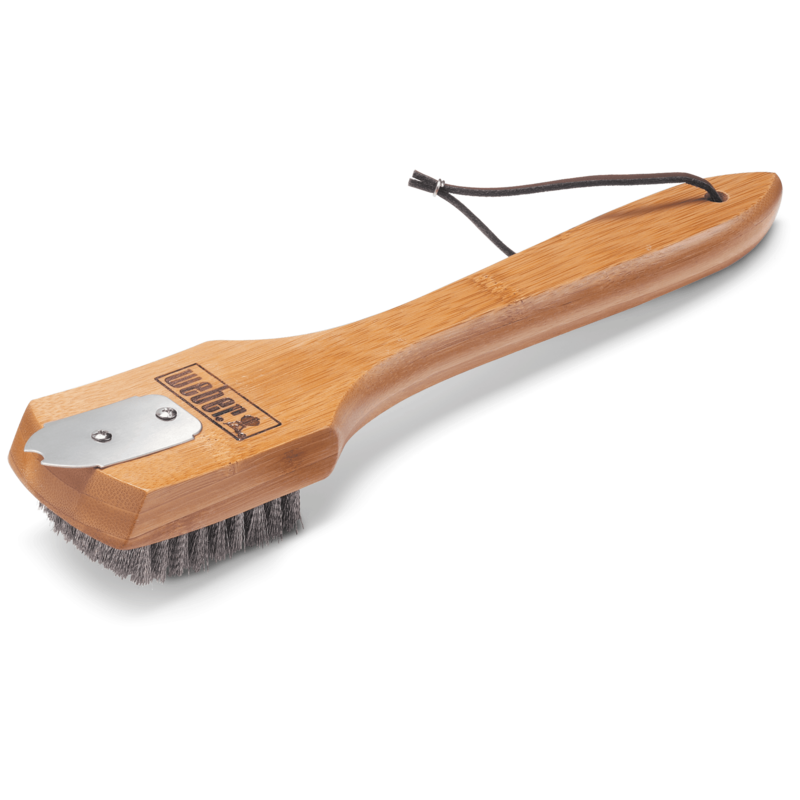 I pre-clean my grates with a competitor's bristle brush when I first turn on the grill, and wait 15 minutes before using the Weber brush, so it's very hot and a long handle is a must. 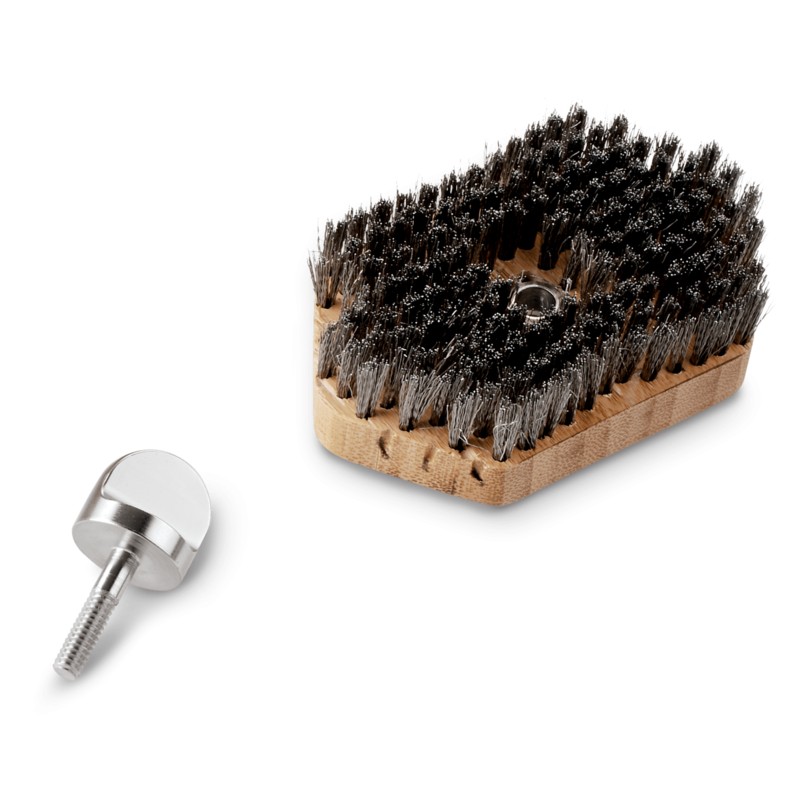 If this brush were just a bit more heavy duty, including the stem which can bend easily with downward pressure, it would be perfect.